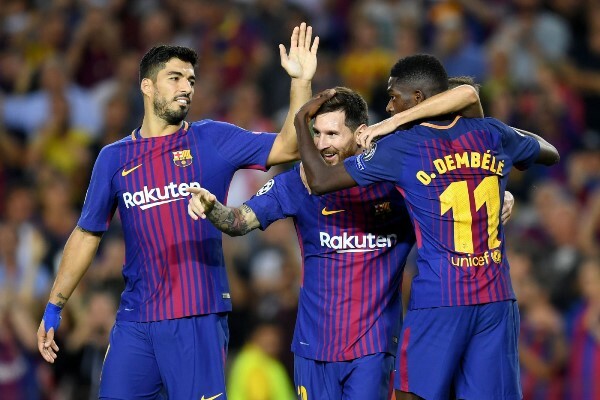 Lionel Messi’s first goal of this new season was a free kick that went under the jumping wall of Deportivo Alavés defenders and into the bottom right corner. He scored a similar goal against Girona in early February, that one went in the opposite corner. He also did the same for Argentina a few years ago. Free kicks that go under the wall are fun for their mischievousness. In those instances, Messi is punishing the wall for doing what it has been instructed to do, for taking the sensible action of jumping to block the free kick. The reference was to Ronaldinho de Assis Moreira’s famous free kick against Werder Bremen in the group stages of the 2006 Champions League. That reference to Ronaldinho triggered a realisation for me: Messi is old. It’s a fact of life that people age, but he had been so good and consistent for so long, that I had taken him for granted. His absurd reign of dominance is almost exactly as old as Ronaldinho’s free kick. Ronaldinho’s goal was 12 years ago. Messi was 19 then. He missed that game against Bremen because of an injury, but he had already established himself on the first team. More than that, he was seen as something extraordinary. Twelve years is a long span of time in the real world, which makes it an eternity in soccer. Things change drastically every year, given the nature of the sport. That something or someone can remain relevant, let at alone be the best, for so long is truly incredible. Messi has also changed so much during that run that I’m not sure if it’s possible to properly grasp and appreciate what he’s done. When he is gone, he will seem fantastical. So much so that it seems we have a problem in the present of truly reckoning with the wonder that he is. He has been so many different things that to think of Messi as one self, is to miss the magic of him. Given the nature of the sport, time makes appreciating the totality of an athlete’s career difficult. Soccer’s cycle is vicious. It devours players and discards them and inevitability leads us to forget those who weren’t the best of the best. Teams rarely stay the same. Transfer windows mean the selling and buying of players, and can also mean a change in manager. Everyone is perpetually under threat. Once someone stops being useful, they have to be sold or released. Within so much unceasing turnover, it can be easy to forget people, or reduce their legacies to the best three or four years that they played. When we think of Xavier Hernández Creus (Xavi), we don’t think of 2006 Xavi who was coming off the bench to replace Andres Iniesta, we think of Xavi during the Pep Guardiola years. Ronaldinho is Ronaldinho at Barcelona – his time before and after are footnotes. Messi’s dominance is a conundrum because not only does he exist outside this cycle, but he has violated the very idea of “peak” years. It’s hard to think of him as a whole because he’s been so distinct in different eras. There is no peak with Messi, only phases. The Messi of Frank Rijkaard is different from that of Guardiola’s. Guardiola’s Messi was different from Tito Vilanova’s. Vilanova’s was different from Gerardo Martino’s. 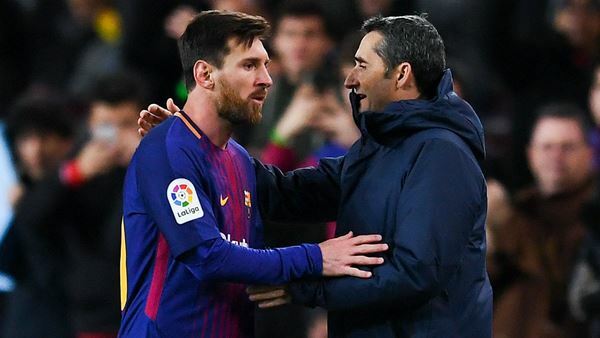 The same for Martino to Luis Enrique’s, and Ernesto Valverde’s Messi seems to be an all-conquering combination of his previous selves. 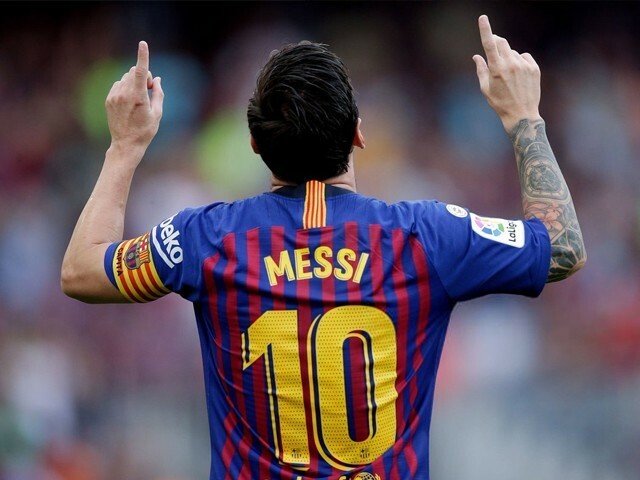 Messi has been a standard winger, an inverted winger, an inside forward, a false nine, a striker, a playmaker beneath the strikers, a midfielder… and now he can do whatever he wants. Each coaching regime also brought in new teammates. Messi transformed and prospered with so many different forwards. He’s been in the front three with Ronaldinho and Samuel Eto’o, then with Thierry Henry and Eto’o, and another with Pedro Eliezer Rodríguez Ledesma and David Villa. 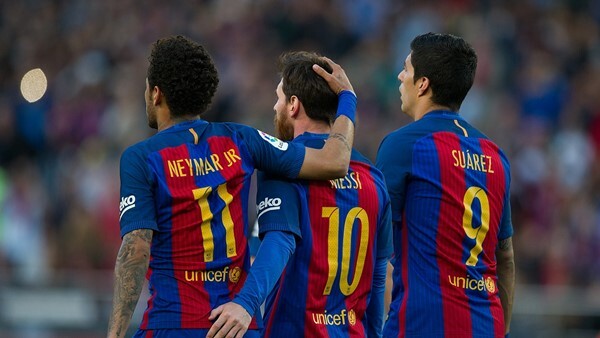 Arguably the best combination was with Neymar and Luis Suarez. Now he is with Ousmane Dembélé and Suarez. He’s been with Alexis Sanchez and Zlatan Ibrahimovic, too. Messi has also played well within different combination of midfielders. There was the famous triangle of Yaya Toure, Iniesta, and Xavi, which then replaced Toure with Sergio Busquets, and then Ivan Rakitic in place of Xavi, and now with Coutinho sometimes starting in Iniesta’s place. With all of these different players and coaches, Messi had to adjust his style of play to fit in. In the process, he brought out the best in those around him. Before Messi, Barcelona had only won the Champions League twice. Since then, they’ve won it three times. 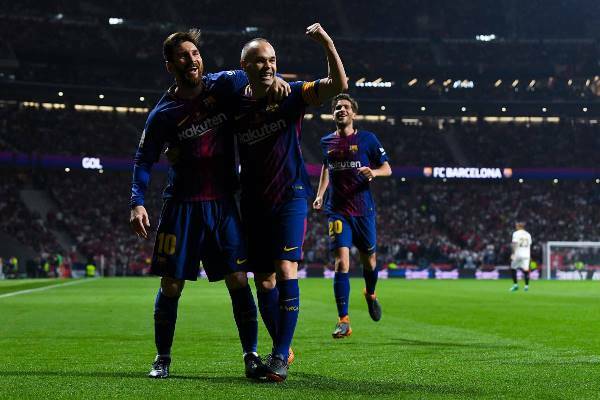 In the last 10 years, they’ve won the league seven times, and that success extends to the Copa del Rey, UEFA Super Cup and the Supercopa de España. I don’t think we have the language within soccer to grasp what Messi is and what he has done. He’s so out of the norm of the game that there’s no real reference point to him. We have different tools and ways to talk about him, but the most they can do is give a glimpse. It feels rudimentary to measure him in terms of trophies won. The same goes for goals, assists, or any other statistical measurement. Conversely, even a discussion about aesthetics, emotion and intelligence doesn’t do him enough justice. For every goal and assist, there’s been a nutmeg or a defender left despairing on the ground. We need both the subjective and objective to get close to describing what Messi is. You might say Messi is encapsulated by his most famous goal, when he beat four Getafe defenders and the goalkeeper in homage to Maradona’s ‘Goal of the Century’. But we need to note what a prolific force he was too, and how often he ended seasons with 50-plus goals and 20-plus assists. Messi can play as the forward and score, and then he can drop into midfield as a deep playmaker, control the game, thrive on one-touch passes, flicks and feints… and score. He’s great in numerous positions, and always surpasses expectations. To properly appreciate Messi, we have to capture the process of appreciating Messi. The beauty of it. The feints, nutmegs, the unsuccessful dribbles that makes one question whether he’s human or not, the one-time volley passes across the pitch that land on the feet of his teammates, the way he moves, the fear that defenders feel that is so visible to the audience, how the eyes of the audience are always fixated on him. We also have to talk about his metamorphoses, then within that, the distinction between each Messi. We also have to talk about how normal it feels to be so uniquely captivated by a man. Somehow Messi has come to make those 50-and-20 seasons seem routine when they’re absolutely not. He is in a special place in our consciousness. Isolated. Somehow both a supernatural and standard presence in his sport. Messi’s under-the-wall freekick goal against Alavés was Barcelona’s 6,000th goal in La Liga. He also scored the 5,000th in 2009. He has accounted for 6.4% of Barcelona’s total league goals. And he’s the first player in modern La Liga to score in 15 consecutive seasons. None of those facts are surprising, and that’s such a weird reality. We seem to have exhausted all of our metaphors and superlatives for Messi. Even writing about him, about how great he is, only seems to reduce the truth. 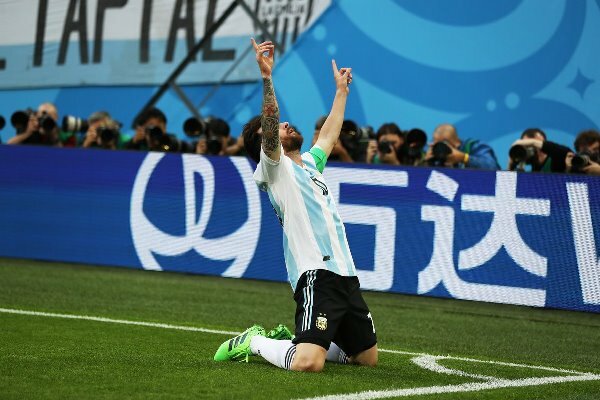 Only Ray Hudson – as brave and ridiculous as he is – comes close to giving the due respect that the greatness of the Argentine deserves. I don’t know if we can ever truly conceive what Messi is. I also fear that when his career is over, the unceasing nature of forward progress in soccer will see him crudely packaged in the same way that happens to all great players. As a singular grand image, without distinction and fault, something to be used to burden future generation of players, as Maradona had been used against Messi. He will be a ghost of who he was. Personally, I’ve always seen Messi as a representation of infinite possibilities. When he’s on the field, anything can happen. That’s a feeling that I don’t get by watching anyone else, and that alone is exciting even before any action occurs. A friend of mine recently described being a soccer fan as an acute pain that we voluntarily subscribe to. 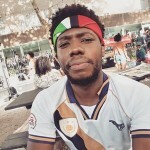 A pain that is not liberating, nor educating, nor something that builds resilience. For me, watching Messi has been the opposite of that acute pain – opposite the essence of the sport. No matter the result or performance, he is always a pleasure. He is a master artist, and simply witnessing the process of someone so extraordinary, a genius, is enough. But as a master, his work is almost always stunning. The cycle of the sport will eventually devour and discard Messi as it has done to everyone else. That’s the inevitability and unfairness of life. He will start to falter at some point, and when he has retired, he will become a myth to the new generation of fans. They might know him through his numbers or videos of his dribbles, but it will be difficult for them to understand how tremendous he was, because we can’t even do it in the present. The reference to Ronaldinho after Messi’s Alavés goal showed how much time has passed. It was saddening. 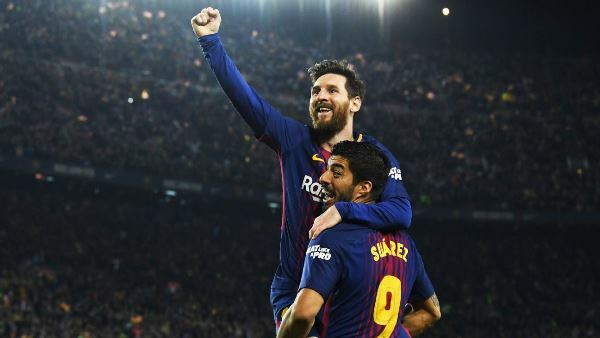 So I watched Messi’s next game against Real Valladolid with a sense of urgency, of desperation, with the fear and knowledge that his end is ever closer. But there was a happiness in the failure of contemplating the totality of him too, a happiness that stems from the struggle. The difficulty itself is the answer to his greatness. Maybe he doesn’t need to be resolved. It is wonderful to have witnessed a player that has gone beyond the world we know.